Avarekalu is also known as 'Hyacinth Bean' or 'Indian Bean' in English. This is mostly available in winter season from October to February. 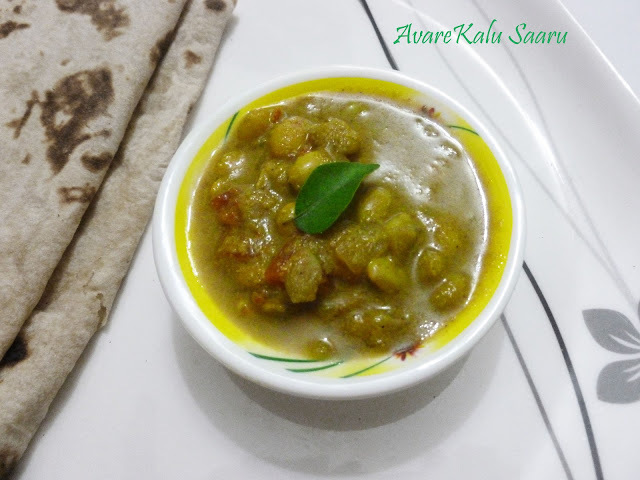 Avarekalu Saaru( Curry) is the most popular and delicious Bangalorean dish. They include this in upma's, curries, roti's, salads and even desserts. Today's special dish is Avarekalu Saaru/ Curry. 1. Pressure cook Avarekalu , chopped onions and tomatoes with little water for 1 or 2 whistle. 3. Add this paste to the cooked Indian beans and add enough water. 4. Add Salt to taste and cook till oil separates. Serve it as a side dish with Chapati, Roti or even with hot rice. Note : I made this bit thick so that it goes well with Chapati's or Roti's. 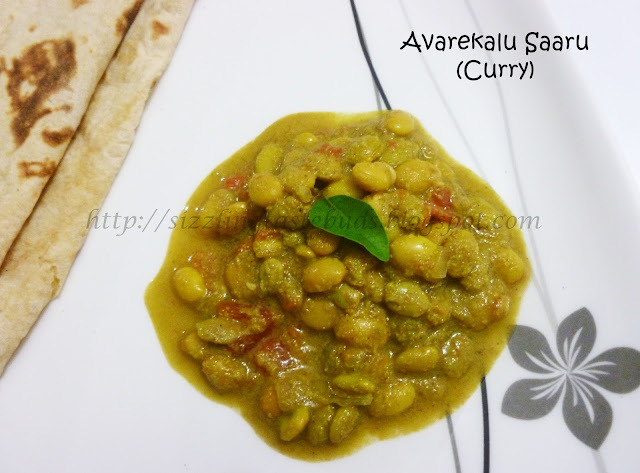 Increase the quantity of coconut and other spices mentioned above to make Avarekalu curry for Rice. Supriya, the dish is really appetizing..nice job1! When do you add oil seasoning?